I’m fascinated at how some backyard gardening practices are enlarged and applied to farms. Ultimately, if you’re growing fruit and veg, the principles stay the same. The fact that you’re only utilising a couple of square metres instead of acres is irrelevant. Machine-powered cultivators are among the most ubiquitous of heavy farming machinery. The basic idea is to disturb the surface of the soil (the top few inches or so) so that it is loose and well-aerated for seed-sowing. In a small-scale situation, cultivation will also pull up any weeds in an empty bed or between plants. There is some debate about the usefulness of hand cultivators or tillers, but I can honestly say that I wouldn’t be without mine. They’re superb for “working” manure and amendments into raised beds and perennial pots. They’re also a huge help when it comes to mixing DIY potting mixes. In this article, I’m going to take a look at some of the most popular hand cultivators on the market and pick my favourites. Click here to jump to our in-depth reviews of the best hand cultivators. What is a hand cultivator? 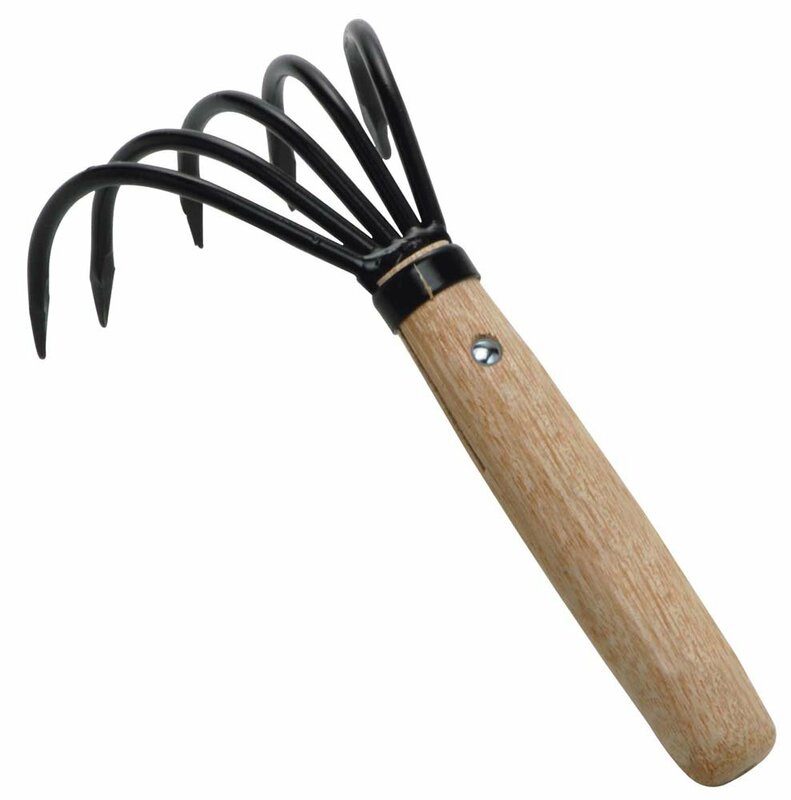 A hand cultivator is simply a small three-pronged tool, although sometimes there can be more spikes. It’s used to disturb the surface of soil, making it more suitable for planting. In a farming context, there are two stages of tillage, primary and secondary. Ploughing (undertaken in the primary stage) overturns the soil to a depth of several inches (up to ten inches). Harrowing (or cultivating) then works the uppermost layer of soil, loosening and aerating it for sowing. “Rotary cultivators” represent the midpoint between hand cultivators and more advanced equipment. They’re usually made with a set of rotating spikes hat can be pushed over a larger area. The principle is still essentially the same. “Rotary” just means rotating but is generally used to refer to hand-operated tools rather than petrol or electric-powered ones. 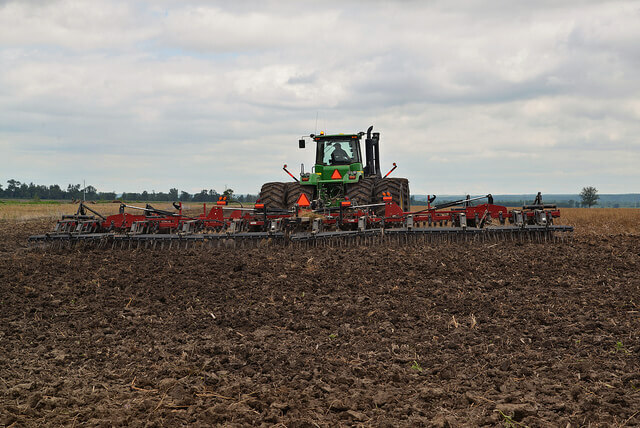 The key thing to keep in mind with rotary cultivators is that they’re not designed to go deep. They’re good for loosening the soil surface but won’t do much more than that. Powered cultivators, on the other hand, will go deeper. You might well be sceptical about having a hand cultivator if you’re used to “digging over” your beds every year or replacing used potting mix. The main benefit of hand cultivators is that they make the whole process of forking in amendments like calcified seaweed or slow-release feed so much easier (whether in pots or beds). If you prefer a no-dig method and apply manure every year or six months, then a hand-cultivator can prove invaluable. Sturdy handle – It’s an obvious point but still an important one. 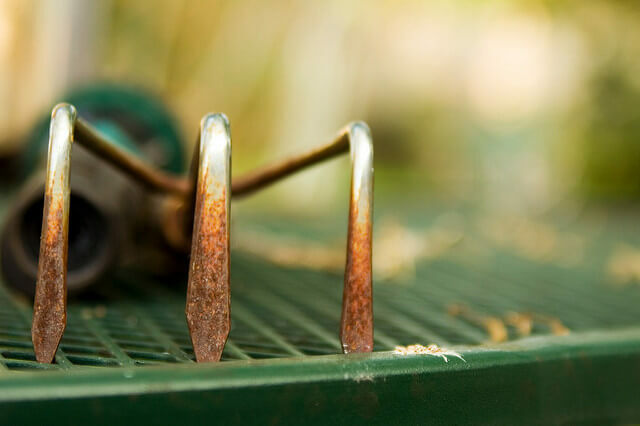 Rust-resistant – Look for rust-resistant or powder-painted tines. Aluminium or stainless steel are preferred because they won’t rust. Ergonomic handle – If you have arthritis then make sure you opt for a padded, ergonomic handle. Lifetime guarantee – Most gardening tools now come with (limited) lifetime guarantees. I imagine part of this is that most buyers will never bother to chase up a replacement or repairs for a $20 tool, making it a nice marketing ploy. Nonetheless, it’s something to look out for. 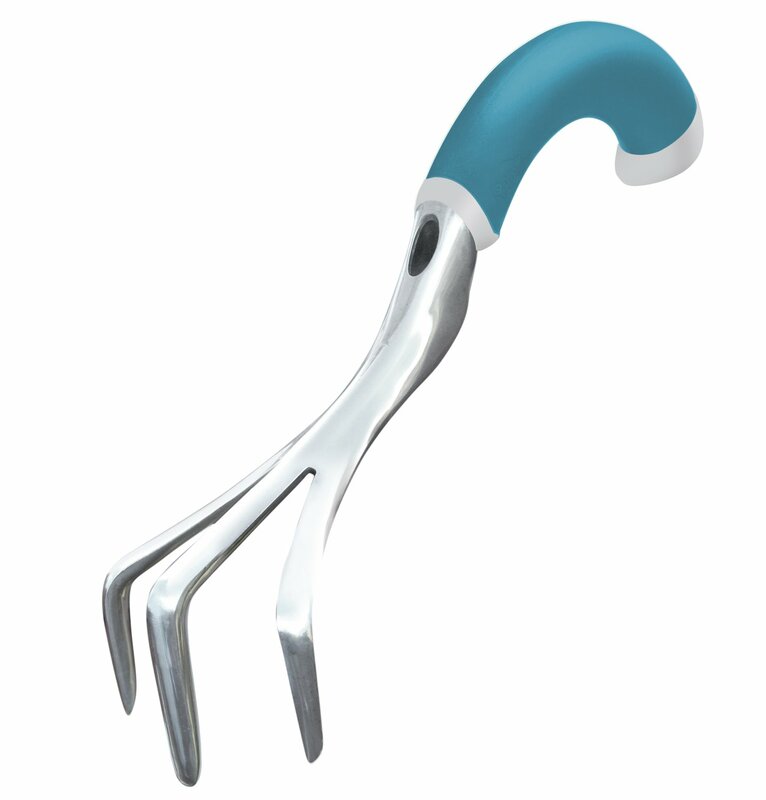 This cultivator from DeWit, an American (originally Dutch) company, well-known for its high-quality gardening tools, is available with either three or five tines. Though I prefer the small version (pictured) you can also get it with a long handle. At only 0.5lbs it’s relatively light too. The tines are made from powder-painted steel and the handle is FSC-approved (Forest Stewardship Council). I’ve put this at number one because it’s my all-around favourite. It looks like a “proper” gardening tool and is very well balanced. There’s the occasional negative review on Amazon but my feeling is that these are due to the odd faulty model rather than general design flaws. It comes with a lifetime warranty. If you’re after a rotary blade, with a view to tilling a larger area, then you won’t go far wrong with this one from Fiskars. The handle is telescopic, meaning that it is extendable. Several of the wheels are also removable, so you can weed between plants and rows. It’s also incredibly light at only 2.7 lbs. One notable point is that the wheels are made from aluminium, so are completely rust-proof. Remember that rotary tillers like these that aren’t machine powered are only intended to break up the surface of soil that’s already loose. Like the DeWit hand cultivator, it also comes with a lifetime warranty. 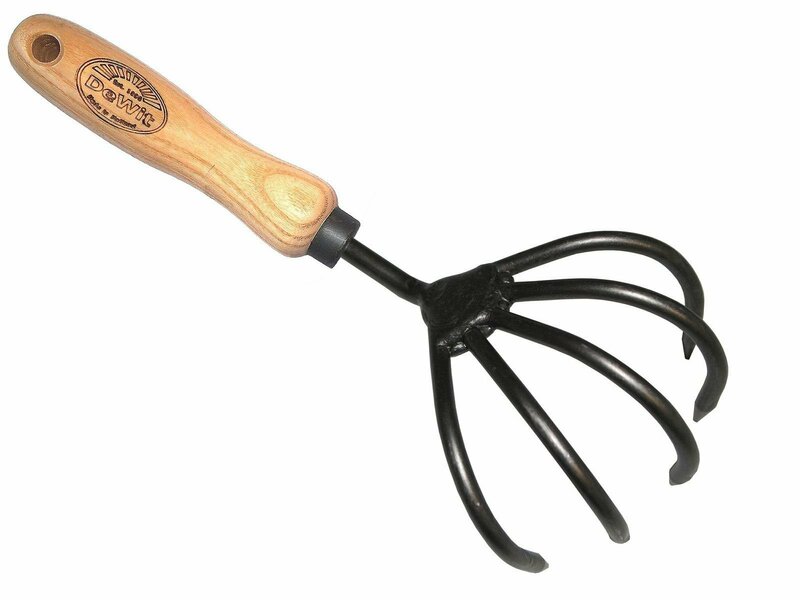 If you’re looking to only spend around $10 or so then this hand cultivator from Asano is ideal. At the price-point, I’d be surprised if you’re able to find a better model with all the essential features. 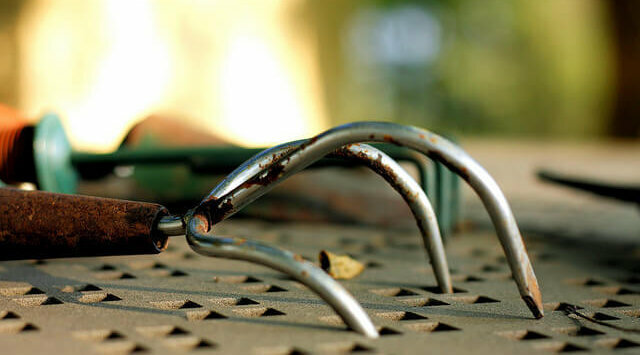 The “claw” is made from steel and painted for protection against rust. It’s secured to the wooden handle with a metal band and central nail. The main thing to bear in mind with this piece is what you’re getting for the price. It’s not ideal – the “claw” could be more firmly attached and the bare wood handle could do with a little oil – but for what you’re paying it’s difficult to complain. Japanese products have a reputation for being high-quality (they were the original gardeners after all) and the “Ninja Claw” is a good way to go. Twist tillers are interesting tools. They’re completely hand-operated but capable of going deeper than either hand or rotary tillers. They’re great for working amendments or manure deeply into soil, more so than is possible with other manual tools. They also aid with aeration. A lot of people absolutely swear by them. This tiller from Yard Butler (another big gardening brand) is well-made and sturdy. The steel handle and tines are powder-painted for rust protection. The metal handles are encased with a rubber grip and the stepping plate is also very durable. As with all the products on this list, it comes with a lifetime guarantee. This Radius cultivator, despite the slightly tacky appearance (in my opinion), is exceptionally well-made. Because the blade is made from aluminium it won’t rust. The ergonomic handle (which is ideal for people with arthritis) is very thick. Because the piece is made from a single piece of metal (with the ergonomic rubber applied on top), the risk of the claw coming away is much reduced. 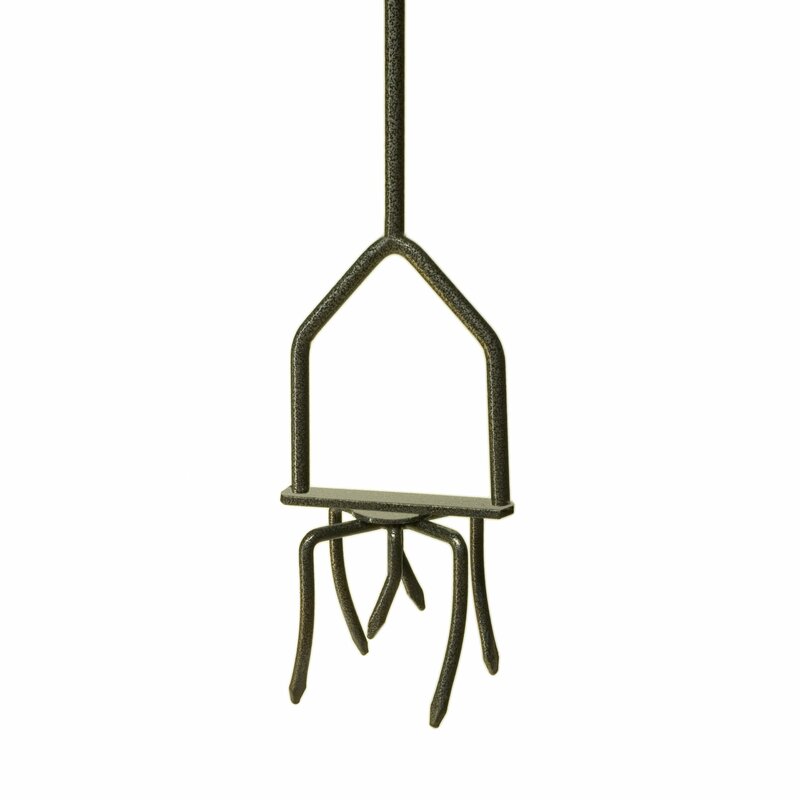 With most cultivators, the claw and handle are separately attached. One point worth mentioning about this is that it is relatively heavy. It’s quite a big hand cultivator and comes in at 10 ounces. As usual, a lifetime guarantee is included! What are your thoughts? Have you tried any of the cultivators on this list? Leave a comment below and let me know!